This unique Yamaha proprietary sound field creation technology, was created by combining measured sound field data with digital signal processing. Yamaha collected sound field data from famous concert halls and music clubs around the world, utilizing its wealth of experience in the fields of concert hall design, public address and mixing. By digitizing that vast trove of information and incorporating it into dedicated LSI devices, it effectively reproduces the acoustic spaces of those concert halls on home equipment. Immerse yourself in the astounding realism of your movies and music with this sound technology. 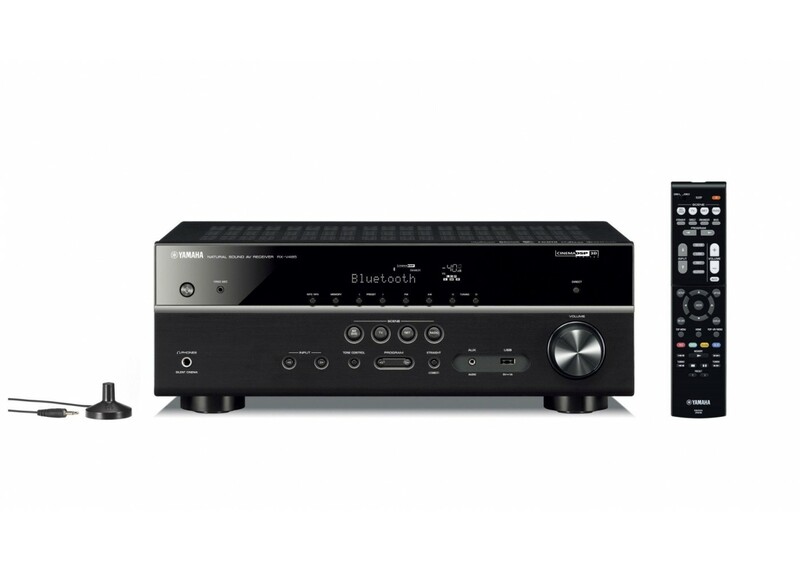 Combine this AV receiver with the upcoming MusicCast 50 or MusicCast 20 wireless streaming speakers and enjoy the convenience of creating a home theater with wireless rear speakers in a 5.1-channel system. What\\'s more, you get stunningly realistic sound with a clean, clutter-free setup. Easily turn your current living room into an entertainment environment where you can fully enjoy movies, music and games. Connect all MusicCast devices to the same network and start sharing audio throughout the home or working space. Download the MusicCast app and convert your home into a sonic environment. The free MusicCast Controller app puts control of your wireless AV receiver in the palm of your hand. Use the MusicCast Controller app to operate the speaker, change settings, select your source, and control music playback. "Alexa, turn up the volume." With Alexa voice control integration, all you have to do is ask. The receiver offers full compatibility with Amazon\\'s range of voice control devices, using the Smart Home skill and MusicCast skill to play music, link rooms and more. Welcome to the smart home.